vintage, japanese, macoto takahashi, makoto, shoujo, shojo, manga, anime, kawaii, cute, retro girl, big eyes, stationery, Hb pencils, flowers, lady. YOU WILL RECEIVE THE ITEM IN THE PHOTOS (SHOWN IN THE MAIN AND INSET PHOTOS ONLY). 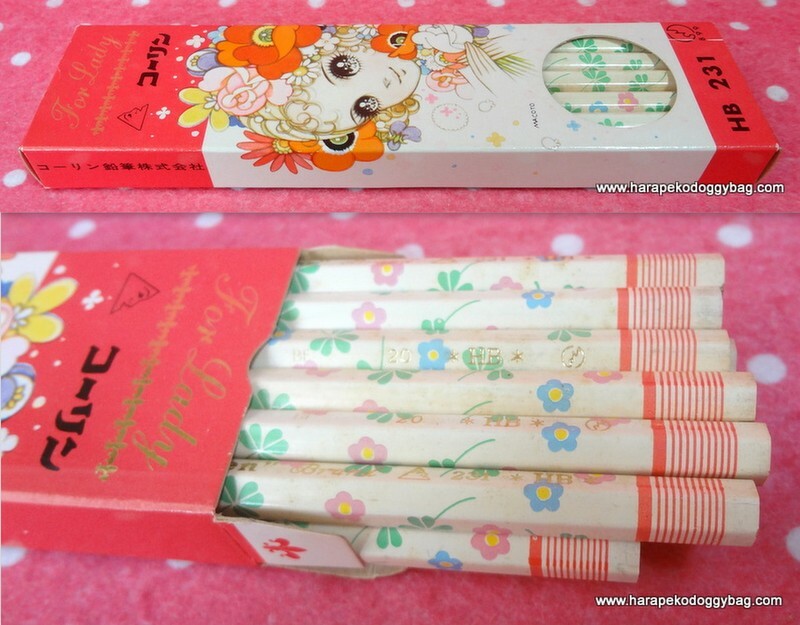 Here is a vintage set of HB lead pencils with the cover design illustrated by Macoto Takahashi from the 1960s. The pencil box is made of cardboard and there are 12 lead pencils. The items are in unused condition and have been kept in excellent condition. The pencils within the box have aged a lot and have yellowed. Also, due to age, there is slight handling wear and marks. Keywords: vintage, japanese, macoto takahashi, makoto, shoujo, shojo, manga, anime, kawaii, cute, retro girl, big eyes, stationery, Hb pencils, flowers, lady.